Welcome to the 25th day of WORDLESS ADVENT! I hope everyone is having a wonderful advent as a time of waiting and prayer. 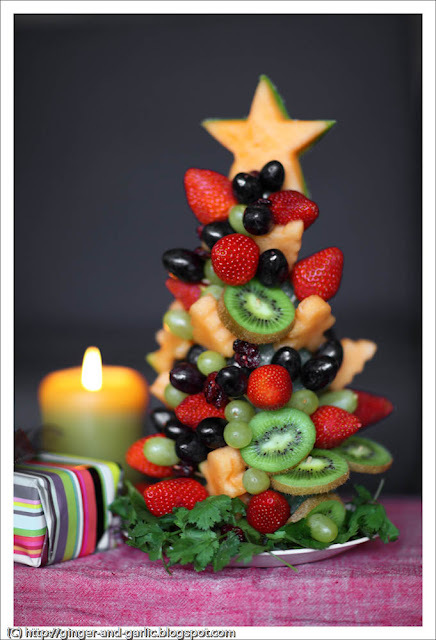 Today’s Wordless Advent is an EDIBLE CHRISTMAS TREE you can make out of FRUIT! Have you ever seen those Edible Arrangements? I always love how they are too beautiful to eat. This can make a great centerpiece for your table or coffee table for Christmas. Just be careful the fruit may secretly disappear. If you want to try and create your own Edible Christmas Tree go here for instructions. I don’t really remember one gift that I took EVERYWHERE and LOVED. I remember one year my mom got the ORIGINAL Nintendo and we would all play Super Mario for HOURS! Sadly I never beat the game until I got the game for Gameboy in my 20s.